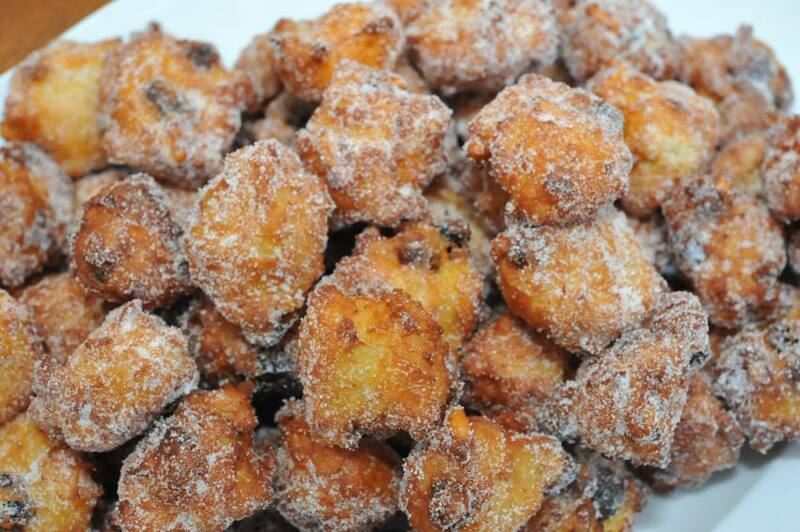 Frittelle di riso, or sweet fried rice balls, are the dessert of choice on the Italian Father’s Day, which falls on March 19th, the Feast of San Giuseppe (or Saint Joseph), and which will often overlap the Carnival or Lenten seasons. When done right, they are the perfect marriage of sweet, fluffy, and fried, and Italian fathers tend to be rather adamant about getting their share. Perhaps it is because it is one of the few days their wives will not reproach them for eating fried food, but I think it is because they are just so delicious, as the little children licking their fingers can attest to while they share in their gift to their “Babbo,” the Tuscan term of endearment for father. 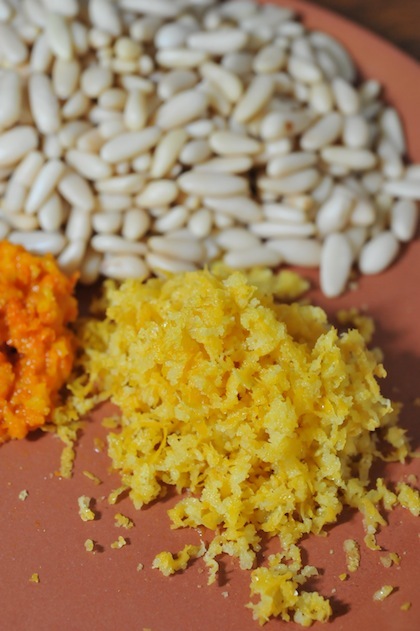 The good news for the gluten-free is that frittelle di riso are one of the easiest desserts to adapt gluten-free. 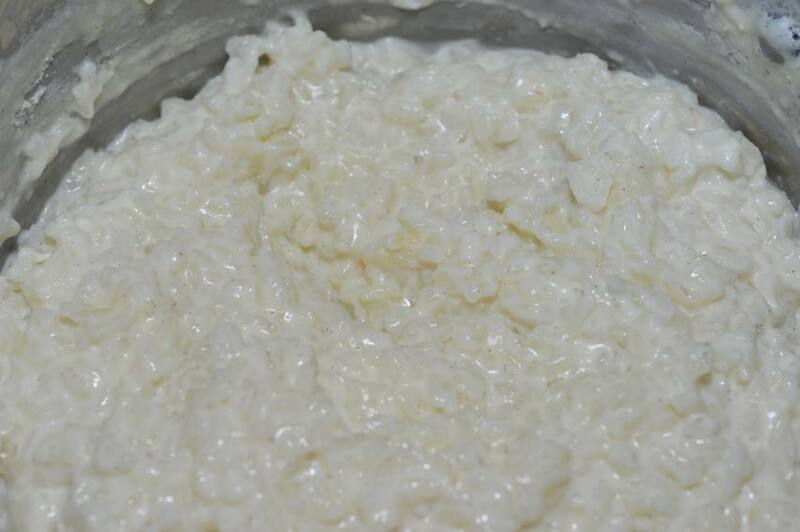 Since there is no rising involved, one simply substitutes the conventional flour with rice flour, a trick that many bakers will adopt anyway because it makes them lighter to digest, as in this recipe adapted from one given to my mother-in-law. 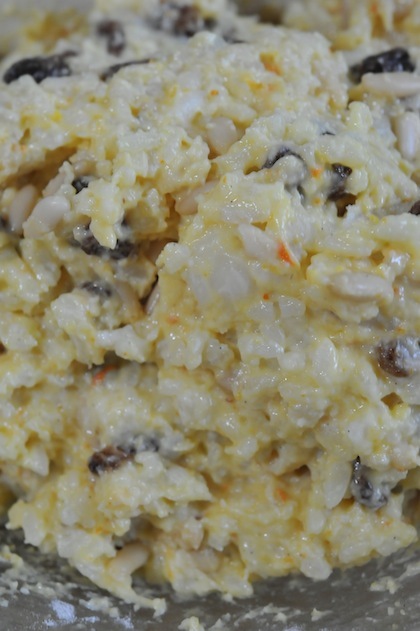 It’s a win-win situation and, since my father always loves rice or anything involving raisins, and my grandfather’s only weakness was rice pudding, this recipe is for the two great examples of “babbo” I have had in my life! 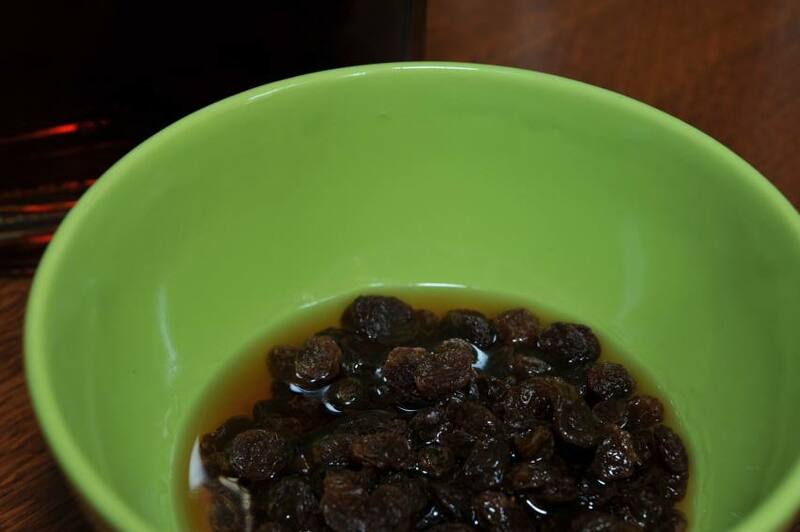 Prepare the rum-soaked raisins. 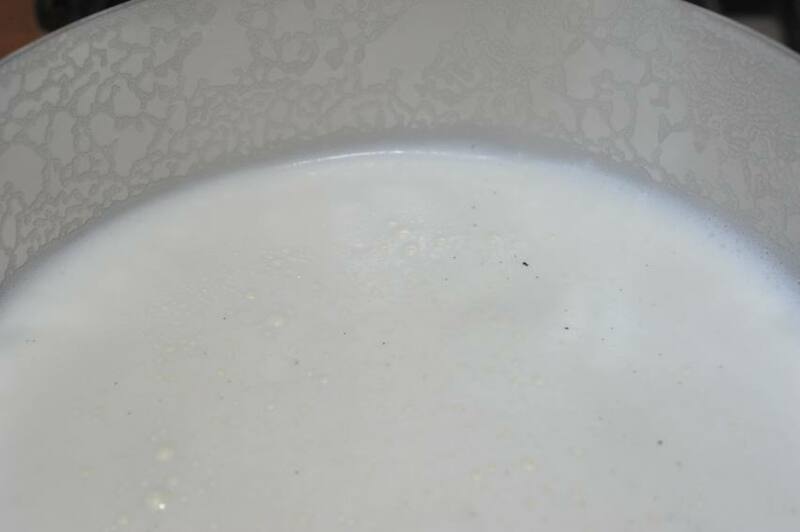 Place milk and vanilla bean in a large pot and bring to a boil. 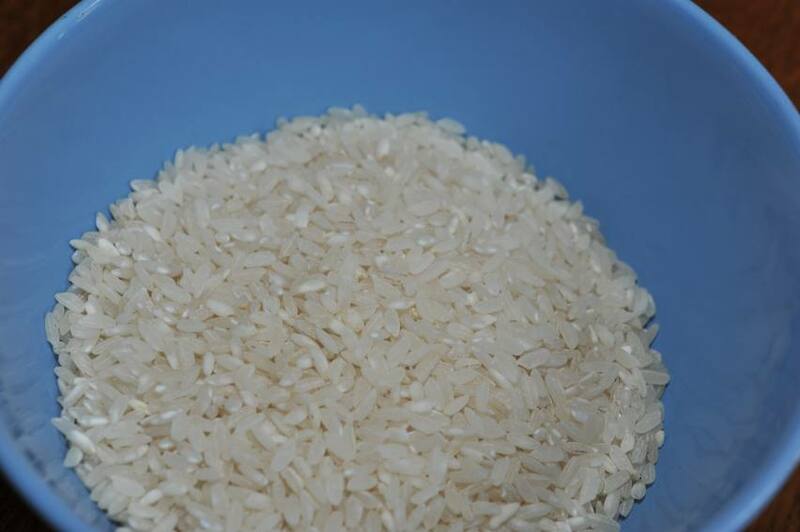 Add rice and cook over low flame, stirring frequently, until the rice has absorbed the liquid. Turn off flame. Remove vanilla bean. 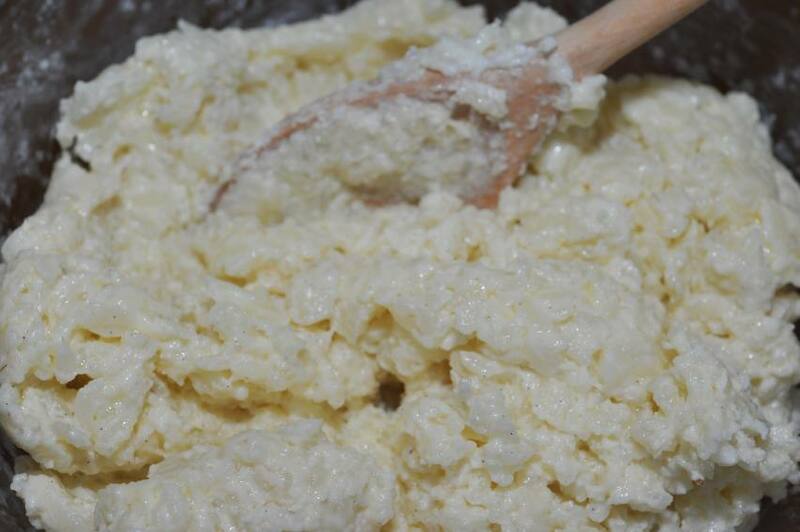 Add butter, and stir to melt. Transfer the mixture to a bowl to cool. 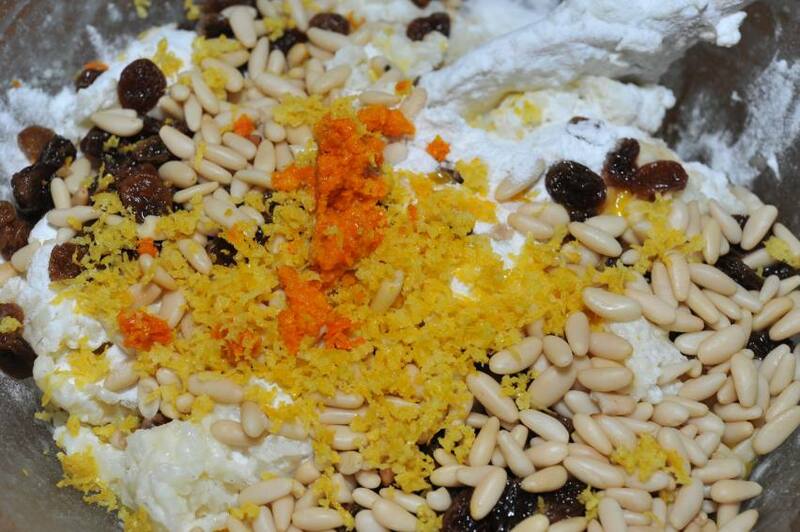 When cooled thoroughly, add in egg, egg yolks, rice flour, lemon zest, orange zest, rum-soaked raisins, and pine nuts. Stir until incorporated evenly. 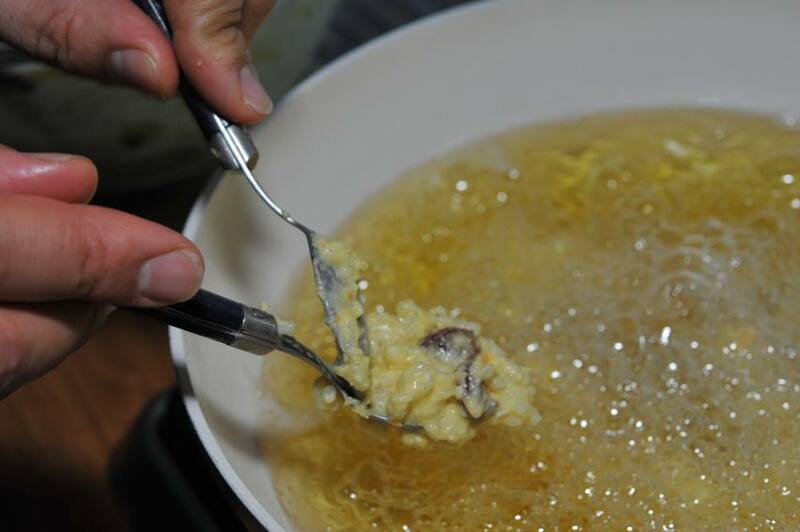 In a large frying pan, heat the sunflower oil. 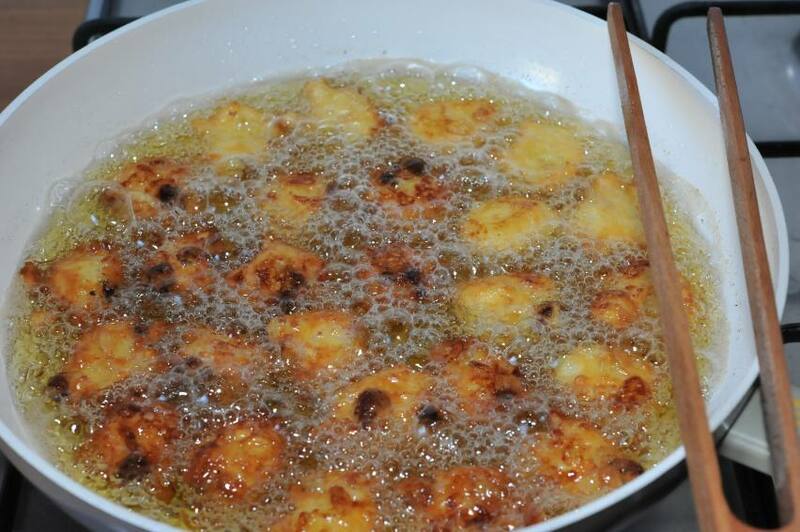 When the oil is hot, drop in teaspoonfuls of the rice mixture until you have filled the pan with a layer of frittelle. 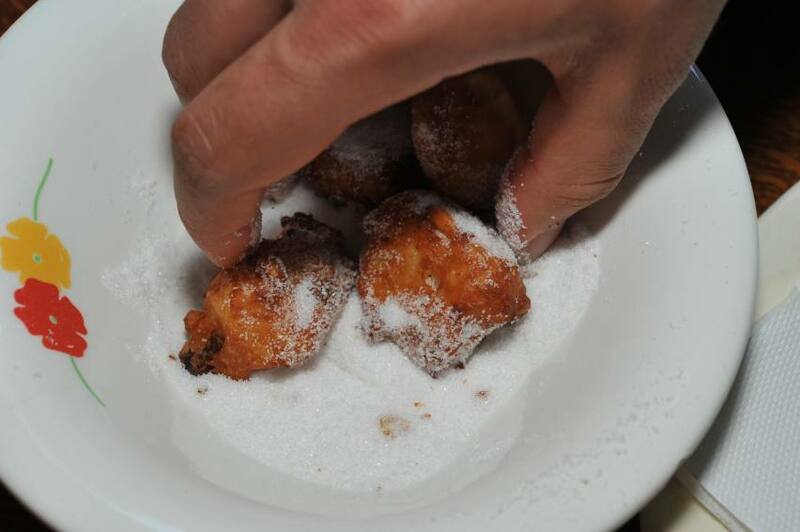 Fry until deep golden brown, rotating the frittelle so that they cook evenly. Transfer to a paper-lined tray to drain. Then roll in sugar and transfer to a serving platter. Repeat until all of the mixture has been fried. 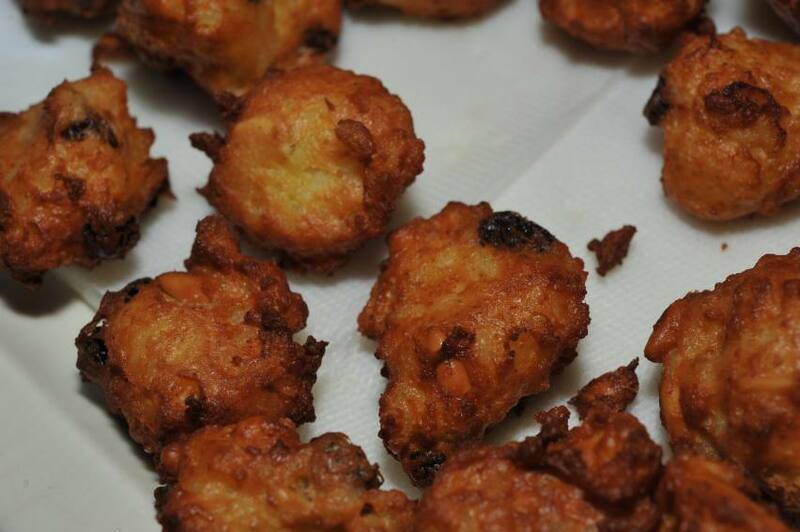 Once cooled, the frittelle can be served immediately or stored for several days in an airtight container.